Mark Twain's humorous account of his six years in Nevada, San Francisco, and the Sandwich Islands is a patchwork of personal anecdotes and tall tales, many of them told in the "vigorous new vernacular" of the West. 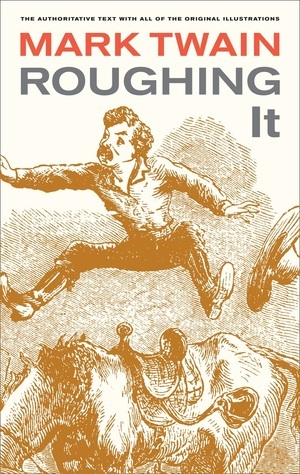 Selling seventy five thousand copies within a year of its publication in 1872, Roughing It was greeted as a work of "wild, preposterous invention and sublime exaggeration" whose satiric humor made "pretension and false dignity ridiculous." Meticulously restored from a variety of original sources, the text is the first to adhere to the author's wishes in thousands of details of wording, spelling, and punctuation, and includes all of the 304 first-edition illustrations. With its comprehensive and illuminating notes and supplementary materials, which include detailed maps tracing Mark Twain's western travels, this Mark Twain Library Roughing It must be considered the standard edition for readers and students of Mark Twain. Harriet Elinor Smith, Lin Salamo, and Robert Pack Browning are associate editors with the Mark Twain Project. Edgar Marquess Branch is Emeritus Professor of English at Miami University.